Let's talk a little about the condition commonly known as "knuckled over". We here behind the scenes of the Dog Scoop recently went on this journey with a pup. In reading up on the condition, I've seen a myriad of conjecture, opinion and theory, so I thought I could try to coalesce them into one rational conversation on the subject. Note, I don't promise any answers! Only thinking points. This picture, from a seemingly defunct site, shows a pretty typical expression of the condition. Which brings us to our first point; What is it? Carpal Flexural Deformity is a description of a condition wherein the pups' front legs (usually it only affects the front) display visible weakness through the ankles. 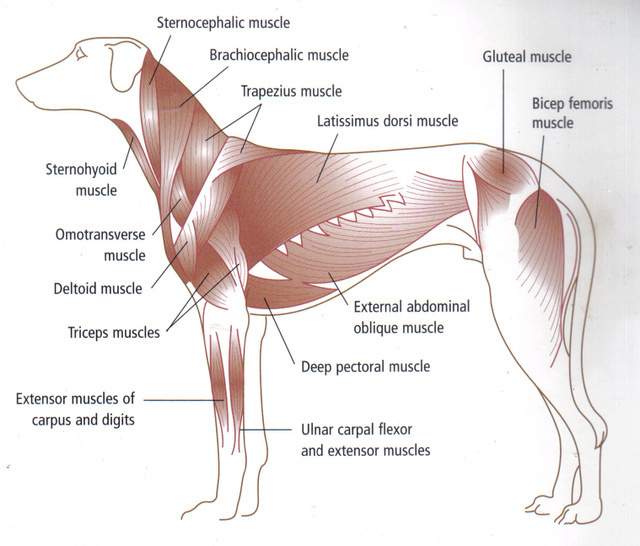 Shaking or trembling in the front legs can also be a symptom. It is usually considered self-limiting, disappearing within 2 - 4 weeks. Age of onset is typically between 6 and 12 weeks. Australian veterinarian Ian Billinghurst describes CFD well in his book "Grow Your Pup With Bones". The pup stands with its carpus (one or both) bent forward. If any weight is placed on the limb, the carpus or wrist gives way and buckles forward. It commonly quivers at the same time. The pup walks on the outer edge of the paw which tends to turn inward. The condition is not painful, and there is no swelling. Upon examination there is no detectable instability. Sometimes only one leg is affected. Radiographs do not show any abnormalities. According to an article in the Canadian Veterinary Journal, CFD is a growth rate imbalance, where the bone grows faster than certain tendons. According to this site, specifically it is the "slow growth of the flexor carpi ulnaris tendon relative to the bones and extensor tendons". The below diagram shows the ulnar carpal flexor tendon on the back of the leg. With this diagram it is easy to see how the back muscles being short and tight and contract the leg. In the next post, we'll look at the second thinking point, why does it happen? The contents of this blog site, including all postings and communications (public and private) from Ms. X, contain NO intent to annoy, abuse, threaten, or harass any person(s). Subscribe to The Dog Scoop! 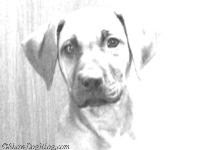 Visit TheDogScoop's profile on Pinterest. Dictionary - Need a definition?